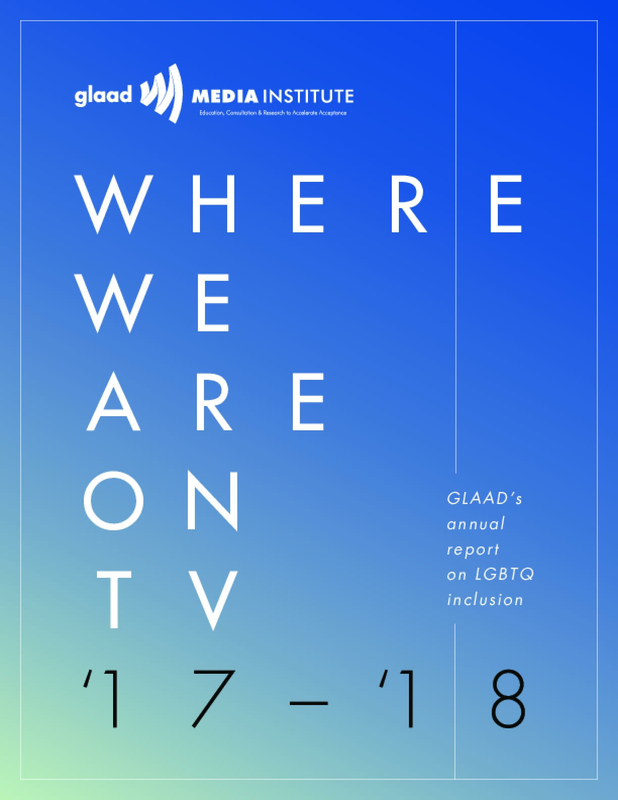 GLAAD's annual "Where We Are on TV" report forecasts the presence of lesbian, gay, bisexual, transgender, and queer (LGBTQ) characters for the 2017-2018 television season. Counts are based on original scripted series premiering or which are expected to premiere a new season in primetime between June 1, 2017 and May 31, 2018 for which casting has been announced and confirmed by networks. Copyright 2018 by Glaad. All rights reserved.